In an interview to Outlook during the calamitous Nandigram and Singur agitations, Ashok Mitra, economist and West Bengal finance minister during Jyoti Basu’s rule, declared that he was unhappy with the way his party, the CPI(M), was functioning. He did not specifically mention Basu’s successor Buddhadeb Bhattacharya, only the ‘leadership’. “Ins­tead of developing the public sector, they open up Bengal to private industries. I disapprove,” he had stated. 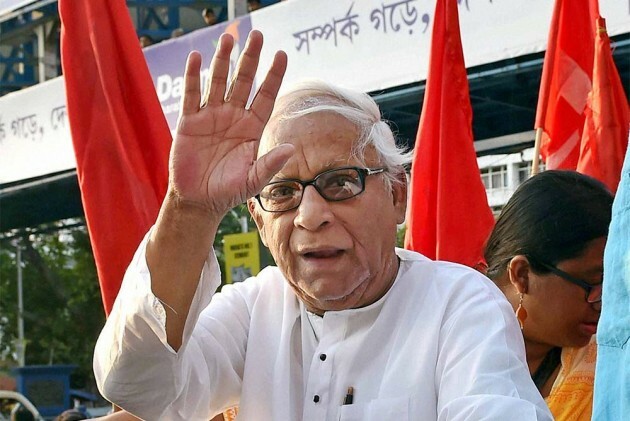 At the core of Mitra’s discontent was the apprehension that the CPI(M)’s disintegration had begun and Bengal, with Budd­h­adeb’s drastic shift from Left economic ide­­ology to right, was leading the way. Eight years on, a party that was in agitprop mode during Singur-Nandigram is so comf­orta­bly ensconced in power in West Ben­gal—having been re-elected with a greater maj­­ority just this summer—that no prosp­ect of a Left revival seems on the cards. “Buddhadeb sounded the death-knell for the CPI(M) in Bengal,” thunders Abdur Rezzak Mollah, a prominent Left MLA and minister, and now with the Trinamool Congress (again as MLA and minister). Mollah, a peasant’s son who had joined the Left movement early and has never lost an election since 1972, does not mince his words. “He single-handedly destroyed the party not simply with his revisionism but with his arrogance. He set his industrial agenda on his own terms and refused to listen to reasoning from his comrades. I personally tried to dissuade him from going ahead with the land acquisition in Singur and Nandigram. But he dismissed me. Eventually, I was expelled from the party.” Mollah insists he joined the TMC precisely because he stayed steadfast to Left ideology, unlike the Communists. “Mamata Banerjee proved to be more committed to the rights of the peasants than my former comrades,” he says. Buddhadeb is unavailable for comment; his home landline goes unanswered. “He rarely comes in the mornings anymore,” is the refrain at CPI(M)’s Calcutta HQ on Ali­­muddin Street. “He often skips the afternoon visits too,” one of them adds gloomily. After the Left’s dra­­­­matic loss to the TMC in 2011, Bud­­dha had turned into a sort of recluse, rather than throwing himself into rebuilding the party. Having led the party to a humiliating defeat in its citadel of 34 years, it seemed he only had signs of trauma and exhaustion to offer. This changed briefly in 2016, as he was again plonked at the head of a combined battle formation (with an informal tie-up with old foe Congress)—only to lapse into his safe obscurity after another sound drubbing. Buddha is blamed for forfeiting the Left platform to Mamata. And in Nandigram, he may have yielded the argument to the extreme Left. It’s a weekday morning at Alimuddin Street. News of the apex court judgement has just come in. Mamata’s government, which had been fighting a court battle to give the land back to its original owners, has won a moral victory—though it too had toyed with the idea of a rail coach factory there. In earlier times, the CPI(M) office would be buzzing--party members would drop by, a slew of television crews would seek soundbites. Perhaps Buddha himself would be one of the earliest to arrive. Now, more often than not, the corridors are empty. And the rooms they lead to mostly vacant. Would the ex-CM drop in at all? “Kono theek nei,” (no surety), says one. 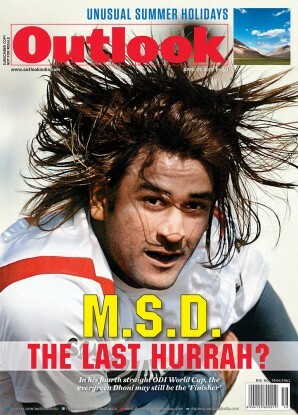 In his heyday, Buddha had attained traction even beyond Left circles as the ‘do-it-now’ CM. Even L.K. Advani had taken a shine to him. That was between 1999 and 2006, Buddha’s first term in office, the pre-Singur, pre-Nandigram days. If there was a shift in purist Left economics, it was too gradual to be easily noticed. Murmurs of discomfort amongst hardliners would be heard now and then. Basu had dissuaded Buddha from going ahead with an Indonesian land deal, for instance. And yet, the economic reforms he was trying to usher in had many takers in industry-starved Bengal. The state’s biggest newspaper house ABP, run by Aveek Sarkar, was supporting him. In a glowing tribute to his first term, ABP’s English daily, The Telegraph, carried a full-page interview brimming with the new CM’s fresh ideas. He was on the road to going down in history as the man who would return to Bengal a mythical golden age. Then Singur happened. Followed closely by Nandigram. Buddha’s proactive industrialisation plans began first to be seen as impatient, then as aggressive. Ironically, one of the strongest charges against him has been that, with those two mass agitations, he forfeited the left-wing platform to Mamata. And also, in the adivasi boondocks of Nandigram and Jangalmahal, to a movement of Maoist persuasion. Indeed, Kabir Suman, former Trinamool MP, publicly declared a kindred spirit at that stage between the Trinamool Congress and the far-left rebels. Sources claim Buddha has had a strained relationship with the Left unions. The late Chittabrata Mazumdar, firebrand general secretary of CITU, was allegedly shunted out of Calcutta and moved to Delhi because of his differences with the former CM. Singur provided an interesting dilemma for Communist trade unions, however. Shyamal Chakraborty, head of CITU in Bengal, points out, “Trade unions are generally in favour of setting up of factories. It ensures employment. But it should not come at the cost of peasants’ rights. It goes against the grain of our ideology.” Chakraborty declines to comment whether he was amongst those who supported the manner in which the land was acquired. Mollah corroborates this. “He was too proud for anything...to listen to anyone, address dissent, even go to meetings. He had become larger than life in his own vision.” That self-same characteristic—the ‘hub­ris’ that has spelt the doom of many a tragic hero in literature—has often enough been ascribed to the literature-loving, cultured Buddhadeb Bhatt­acharya. His fall from grace has not been any less remarkable than that of any overreaching epic hero.